Opening flower with candystripes on underside of petals showing. 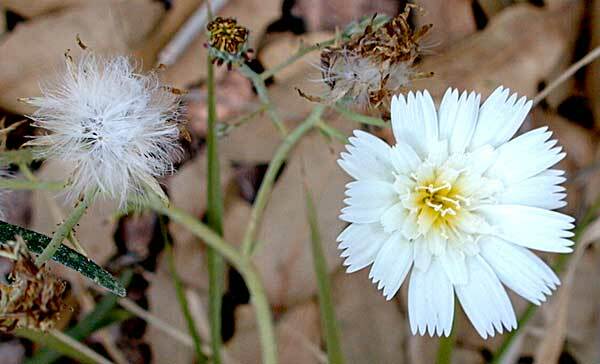 Notes: Called "tackstem" for its tack shaped glands on the stem. Pinkish streaks or dots on the backs of petals. 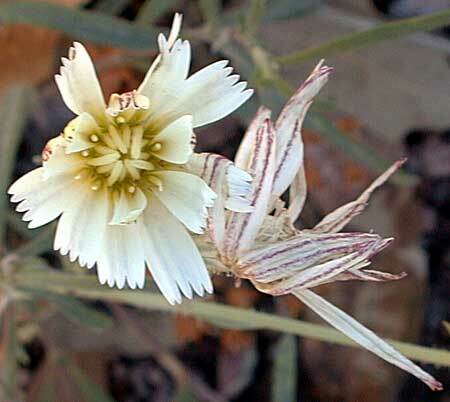 2 species of Calycoseris in Arizona.